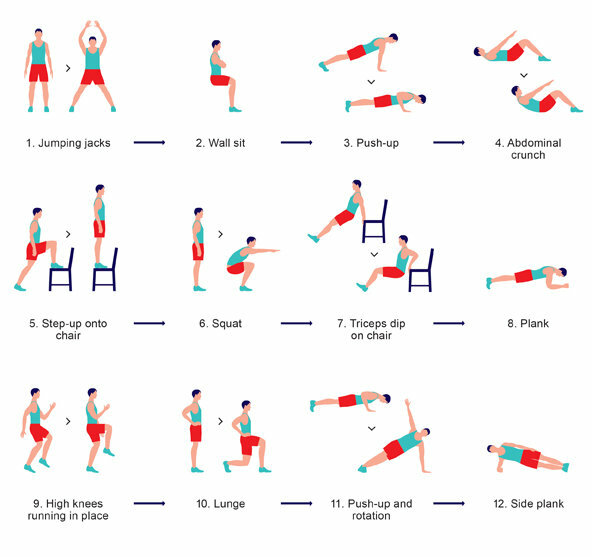 I thought I’d share some of my favorite workouts you can do at home without much equipment. 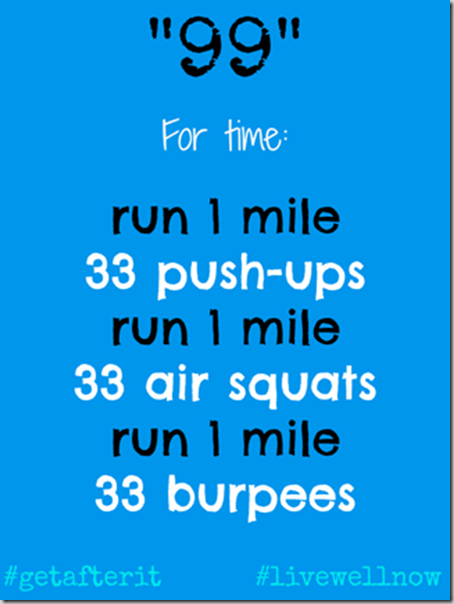 I tried this one from Tina @ Carrots n Cake awhile ago and liked how it incorporated some cross-fit type elements with running. Those burpees killed me at the end! I am a big fan of the Seven Minute workout (and I love the 7 Minute Workout app for the iPhone). 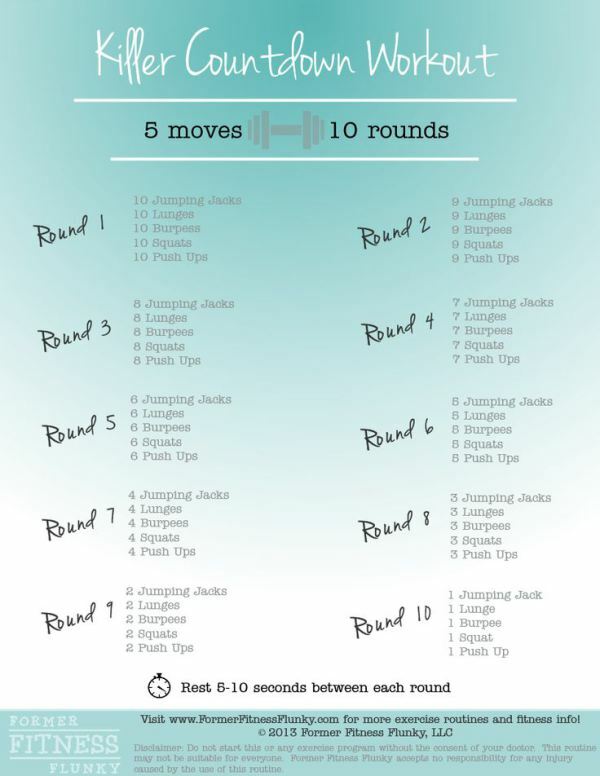 Finally, Karena and Katrina over at Tone It Up are constantly posting creative, fun, and challenging workouts. 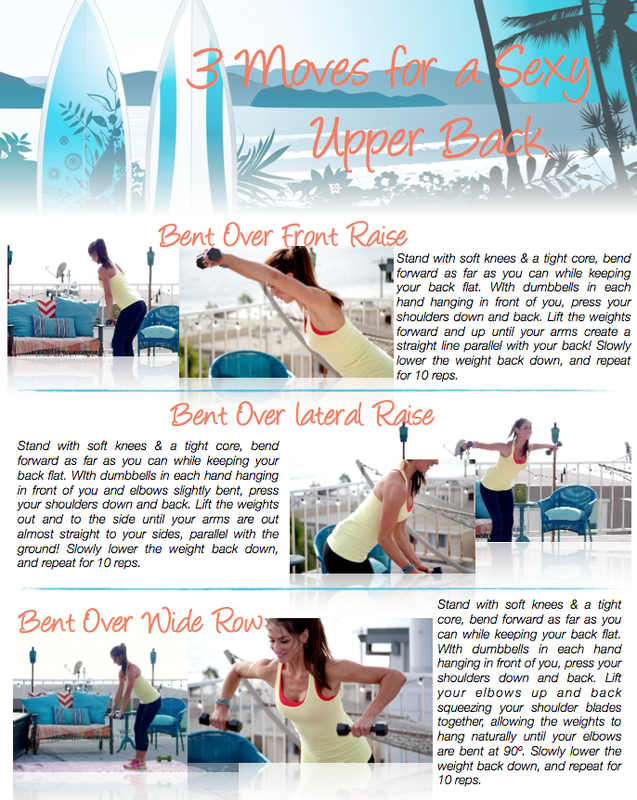 This one is great if you’re looking to specifically target your back. 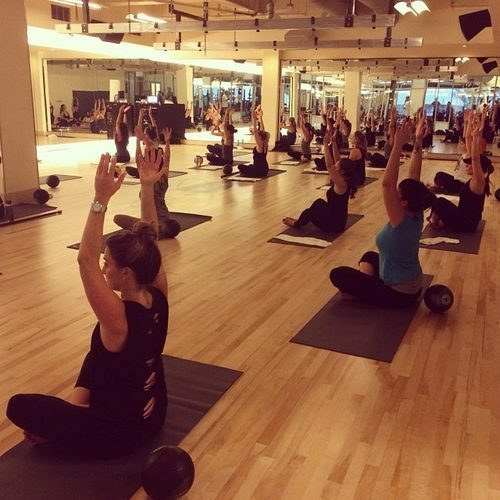 While my “something new” for today is a little on the DIY-side, there’s a bunch of cool, boutique style workouts in the LA I can’t wait to try as well. Numero uno on that list? YogAqua. Yoga. On a stand-up paddleboard. I need to try this, ASAP. Any takers? I like yoga, but I struggle with the whole zen, woo-woo aspect of some studios. 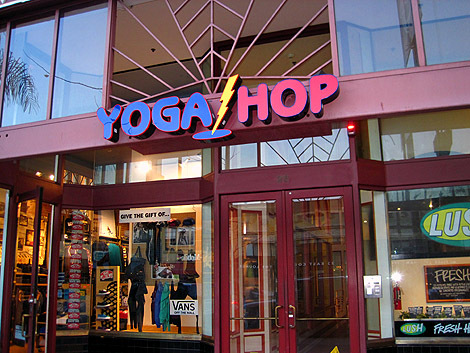 Enter: YogaHop. Yoga, set to hip-hop music? I can get behind this. 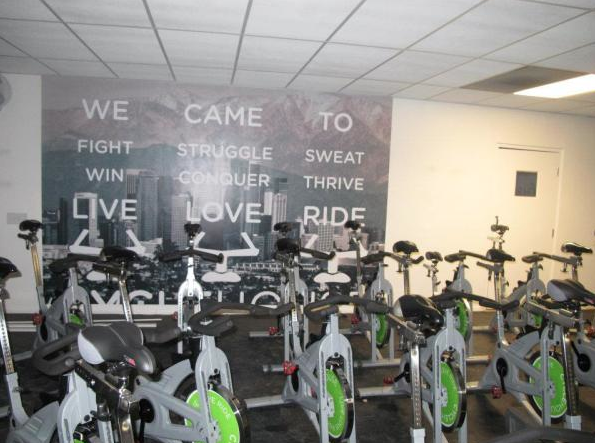 I’m spin-obsessed and have checked off most of the LA boutique studios, but I have never made it to Cycle House — and I used to live about a block from it! 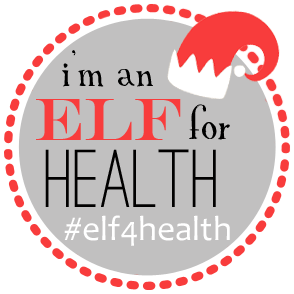 Elves — what new workout are you trying today? 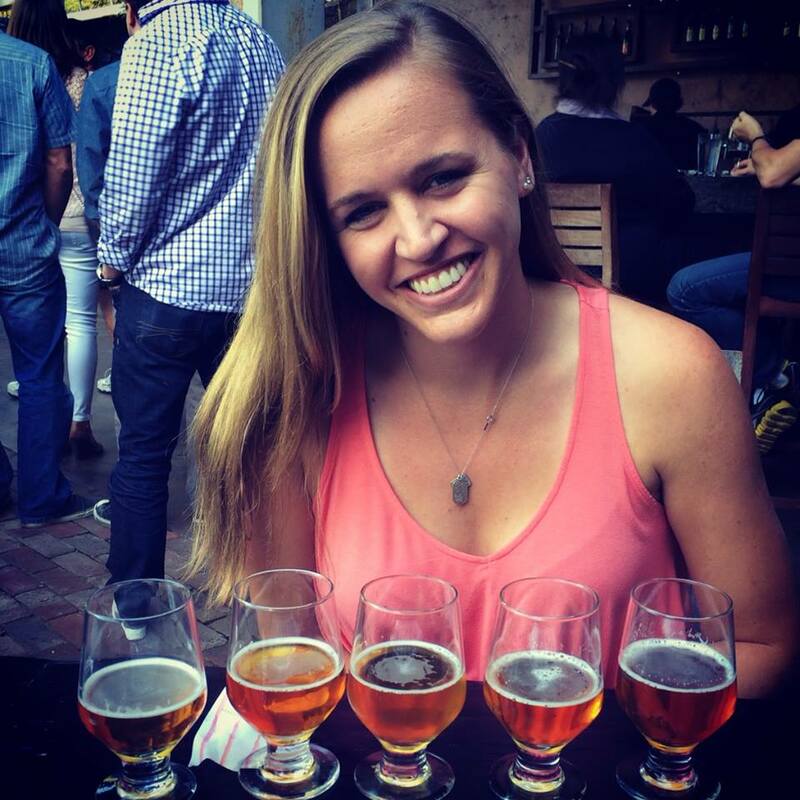 Has anyone ever tried YogAqua, Yoga Hop, or Cycle House? Thoughts? Favorite “off the beaten path” exercise? Yesterday I met up with my blog friend turned real life friend, Katherine, for a #SoulDate…err…spin class at Flywheel Sports on Larchmont Blvd. 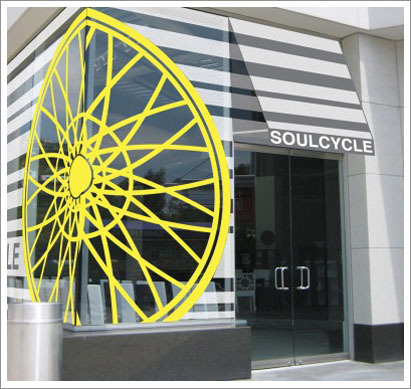 We’re both spin-o-philes, and when I heard Soul Cycle’s biggest NYC rival was opening in LA, I knew I’d have to try it. Upon walking into the studio, I immediately liked it. 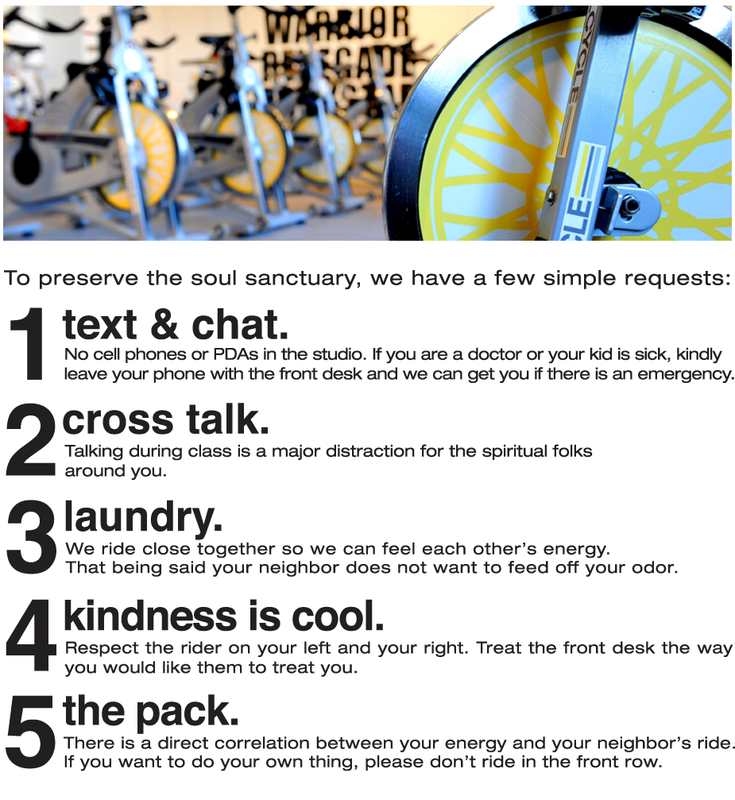 The locker area and foyer are BIG – there is tons of room to hang out, walk around, and the vibe is a little more low-key than Soul Cycle’s. Shoe rental is totally free, and check-in is done via small laptop computers set up at walk-in. Their current motto seems to be “Never Coast” which I liked. They had merchandise for sale, just like Soul Cycle. The classroom is set up like a stadium. Katherine and I were in the second row, right in the center, which I think was a perfect location. 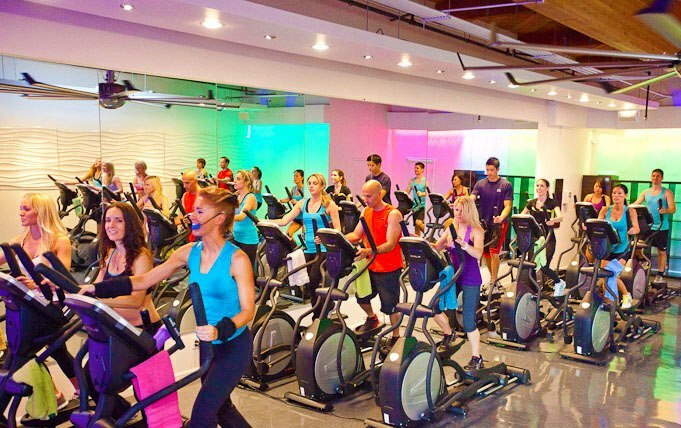 The defining element of Flywheel is that there is a “torq board.” When you sign in for a class, you can opt-in to their system which tracks your resistance and RPMs, and displays your current rank within the class at various times throughout the class. If you know me, you know that I can be somewhat competitive. 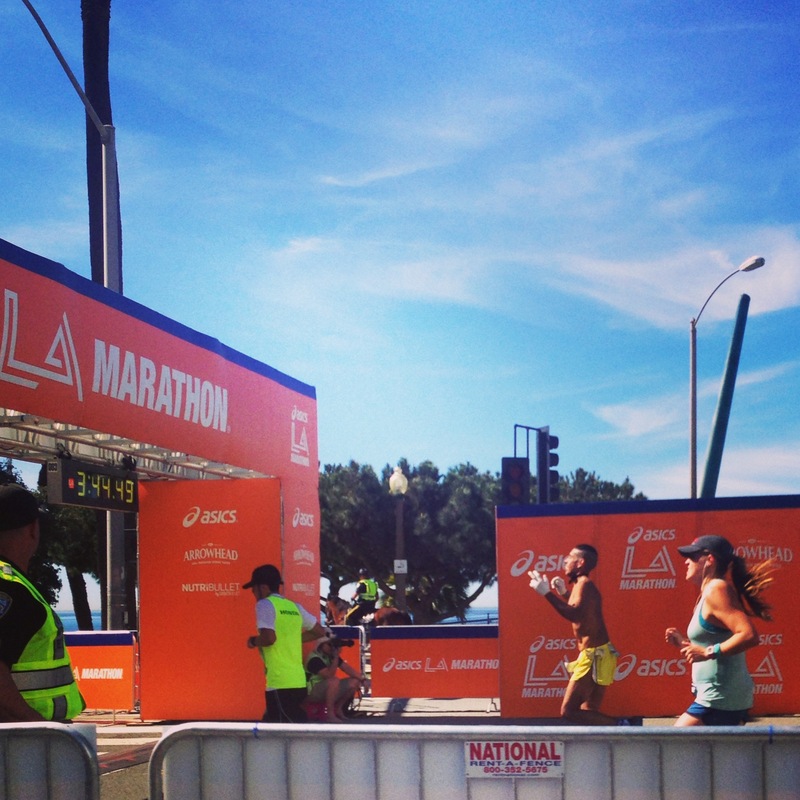 (Okay…really super competitive). 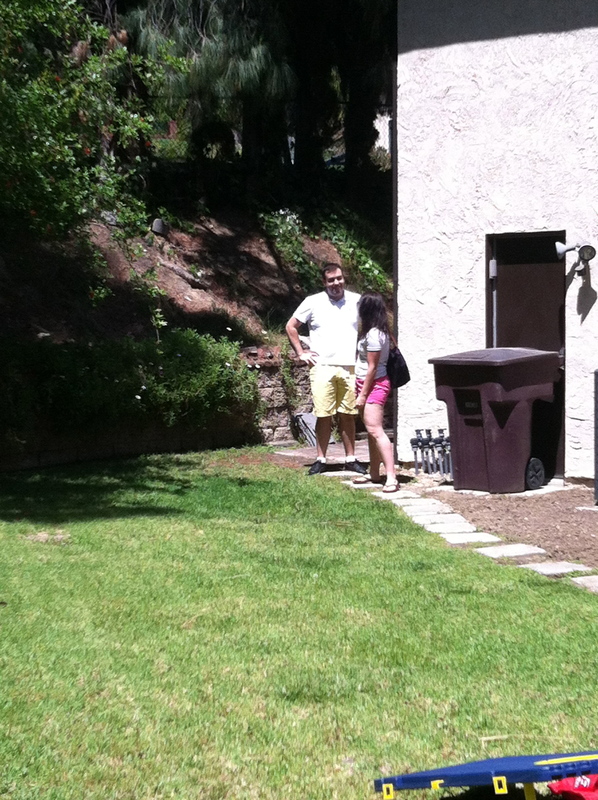 Katherine and I dominated, obviously. I liked the Torq boards – it definitely made me work harder, but I found myself thinking more about making sure I beat whoever was in front of me, and then once I got to #1, making sure I stayed there. My focus was more on beating others and less on having fun. Where I come out of Soul Cycle feeling like I’m rejuvenated and refreshed, I came out of Flywheel feeling exhausted, but victorious. It was a different feeling – and I liked it – but I didn’t like it better. Our instructor, Elizabeth, was enthusiastic. The bikes have sensors which display your current RPMs and resistance levels, which was good because we could gauge where we were at. Elizabeth would say “Your resistance should be at a 50, and your RPMs should be between 85 and 90.” In other classes, instructors will say “You should be at a 5 on a 1-10 scale.” Flywheel takes the subjectivity out of it, and I liked that I was able to verify that I am indeed working hard. The other cool thing about Flywheel is they store your information from the class online. Afterward, I could see my various scores, as well as mileage (23.4 for a 45 minute class!) and calories burned. The music selection was just okay. I love me some Macklemore (remixed with Blu Cantrell!) but could have done without “I Touch Myself.” Yeah, they played that. Overall, I had a GREAT workout at Flywheel. I was WIPED later. I appreciated the fact that the first class was completely free. 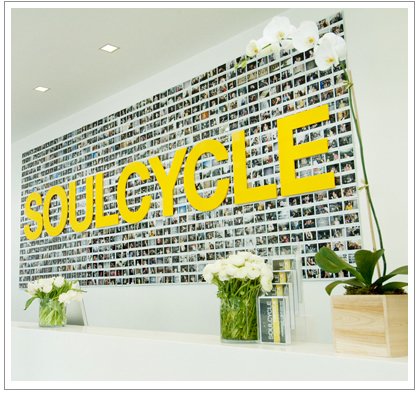 Beyond that, though, all things being equal, I would be much more willing to pay for Soul Cycle than for Flywheel. The quality is comparable, but the experience is very different. 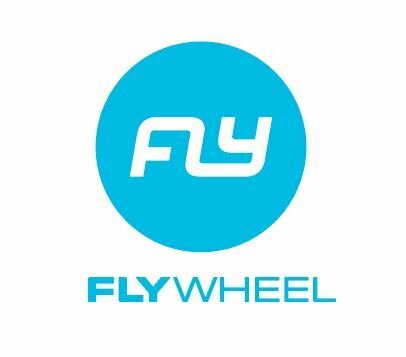 Have any of you tried Flywheel? Soul Cycle? Thoughts? 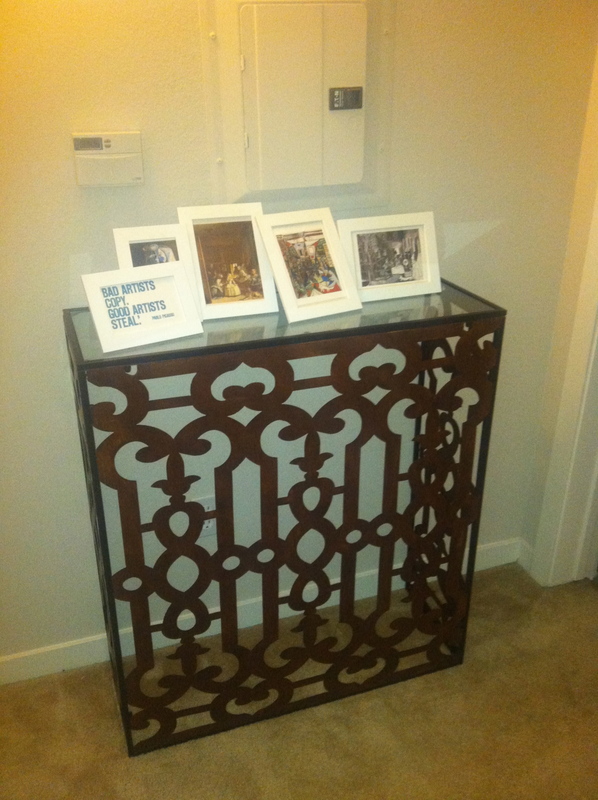 *All images are from Flywheel’s website. Hi blog budz – this week has been tough – I’ve been super busy and work was especially challenging. I’ll report more about that later in the next couple of days, but I wanted to get this post out first! I had a little bit too much fun last weekend (read: I may actually never drink again), and I vowed to get myself back on a healthy track this week. I got my fitness goals a little bit more in line…now here’s to hoping everything else starts falling into place! Also, while most of the world was super concerned with words like “papal conclave” and “white smoke” on Wednesday, I was FLIPPING out about Google announcing the eventual demise of Google Reader. I’ve since calmed down. Well, except for the fact that I sort of want to switch to Bing and cancel my G-mail in protest, but let’s not get crazy. I transferred my RSS feed to Feedly. So far, I like it. 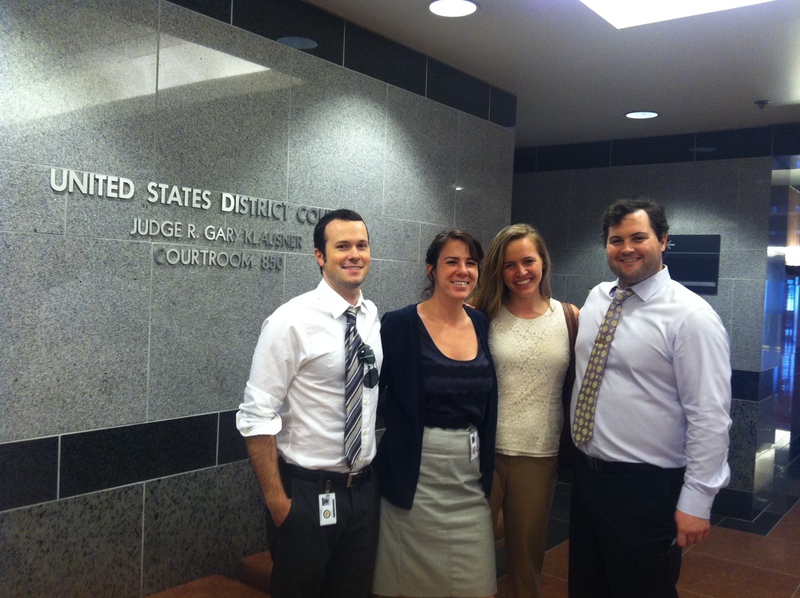 It has a cool magazine-style layout, and they’re promising a seamless transition come D-day. (July 1, duh). I work out mostly using what some call a “hopscotch method.” I belong to a gym, but I also like jumping into other studios, running and hiking outside, and mixing it up constantly. It makes working out MUCH more fun, and is also effective cross-training. I bought a deal through Living Social (or something similar) for 10 Cardio Barre classes. The deal expired in November, and I only made it to 7 classes. I’m not a barre convert by any means – I was never a dancer so a lot of the moves and footwork comes a little bit unnaturally to me, and I am not coordinated AT ALL. 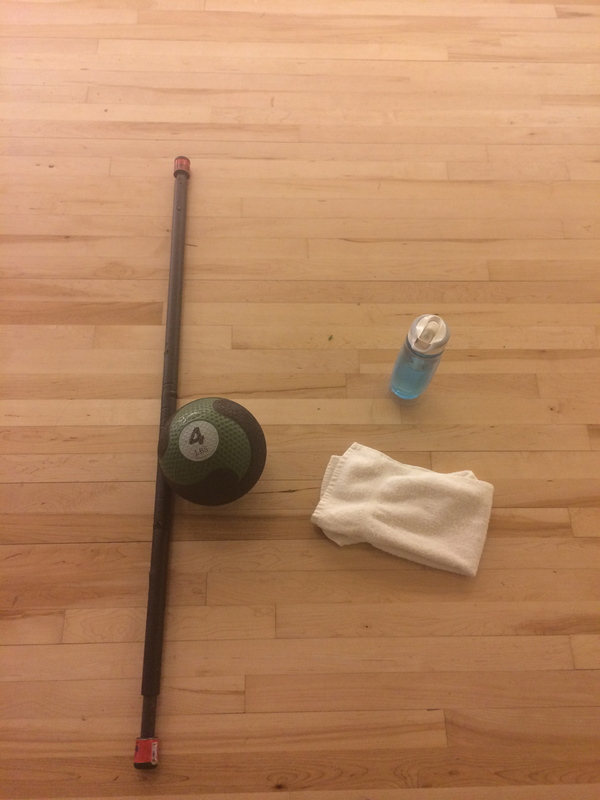 I felt like I worked out afterward, but I didn’t like this as much as Pure Barre. Also, the room is pretty big and they really packed us in there, so there was little to no correction or individual attention. On the plus side, however, is that Cardio Barre’s prices are much more reasonable than Pure Barre’s. 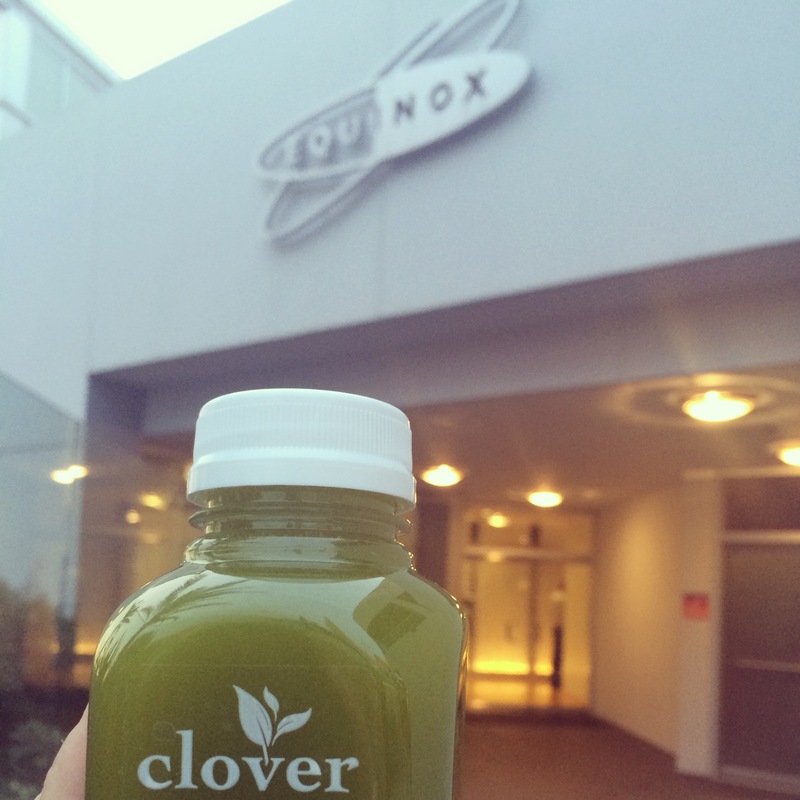 I’d say check this place out if you’re looking to try a barre place, but if you’re already a fan of another studio, stay where you’re at. Pop Physique is another barre place that I checked out through a deal of some sort – this one was a 3 classes for $20 – I’ve used two so far but will probably use the last one. It’s all the same style of small, isolated movements, light weights, and some weird glute exercises up against the wall that I am convinced are made up and uneffective. 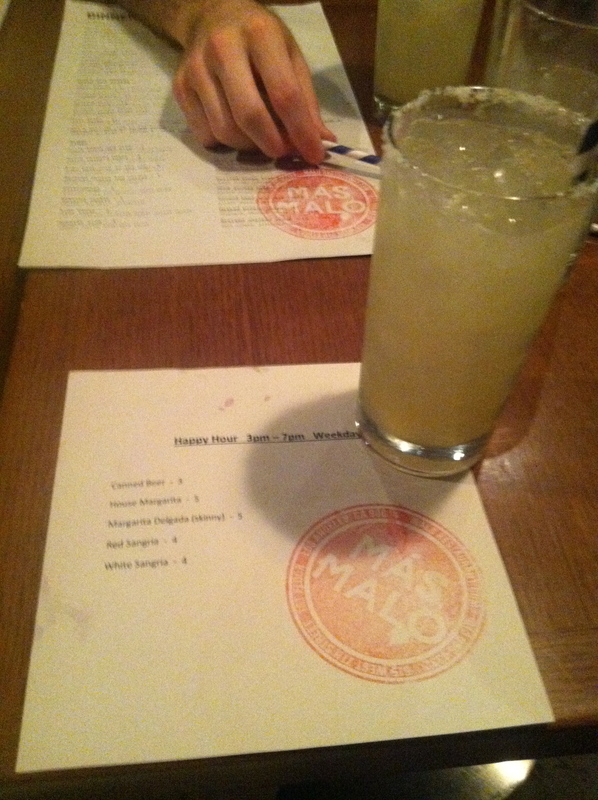 I like the ambience/decor of the place (and yes, that is indeed a Marshawn Lynch reference, thank you). I also like the fact that the class sizes are smaller, and the instructors make an attempt to use our names. Still, not my favorite way to work out, but I did feel the burn! Yeah yeah, I know you are all sick of me proclaiming my love for all things spin. While I’m not sure anything will top my SoulCycle obsession, YAS is a budget-friendly alternative. First class is free, newcomers can grab a 5 classes for $50 deal, and there’s a student discount. They also offer yoga classes which I need to be better about. The instructors are high energy and the music is up my alley – housey and full of mash-ups. It’s also nice that the classes I’ve been to so far haven’t come close to selling out, so the need to race there super early is slim to none. 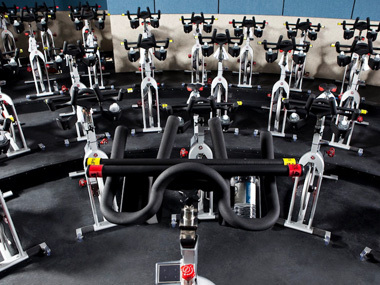 There’s lots of hills, seated climbs, jumps, and sprints – all the makings of a great spin class. It’s a little bit of an adjustment that “tap it up” in YAS-speak means something totally different than SoulCycle’s “tap it back” but what can you do? 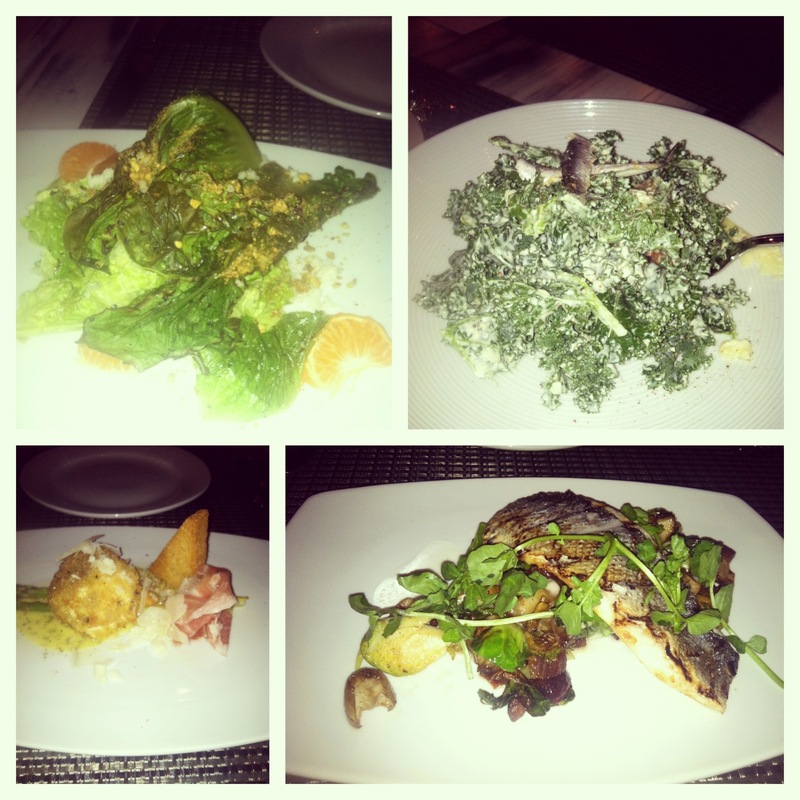 I like this place – and the sort of grungy, unpretentious (but still super nice!) furnishings. Oh, and free parking with validation = music to my angeleno ears. I have always been bad about incorporating stretching and yoga into my routine – and I need to get back on it. Whitney introduced me to CorePower last fall and we made it a habit for awhile to go to their weekly free Monday night class. 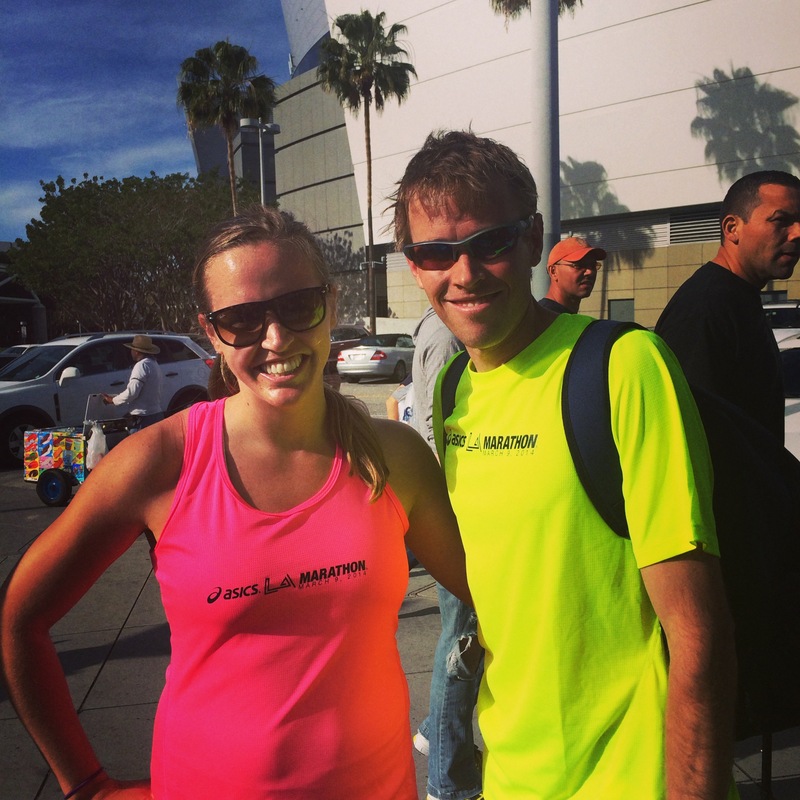 I love one instructor there – Alex – he made it fun and very un-woo-woo which is a big deal for me. I normally burst out laughing when we have to “find our centers” or whatever. This isn’t a bikram studio, but the room is still in the 80 F range, meaning I am dripping in sweat before the first shavasana. This place will also give you one week unlimited for free, which I should make use of eventually. 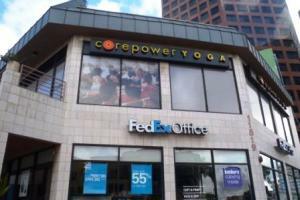 I’d recommend this place – it’s probably the best place I’ve done yoga (besides my days at Fred Segal in SM with Lori Steele who moved to Manhattan Beach..sad). What are other fitness trends, deals, or studios I should check out? I can’t wait to try CrossFit at Brick soon! Let me know your favorite places! This week has been soulful. 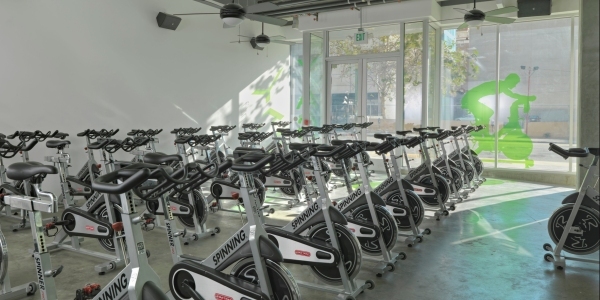 My favorite spin studio (read about my first ride here) just opened a new Santa Monica location, and in order to build a little bit of buzz, they have offered FREE 1PM rides all week. Luckily, I have scored a bunch of free rides and have gone twice so far. While the WeHo and Brentwood locations are closer to my apartment, I am happy to make the trek to Santa Monica (2nd and Wilshire) for my daily dose of soul. The new studio is really spacious and gorgeous. It has merchandise in the front, TONS of room for changing (and lockers), and a 59-bike studio. You also can’t really beat coming out of class and seeing this. One cool thing this Soul studio has is a “listening bar” where you can sample some of the playlists from the instructors. Thursday’s class with Cole Williams was a good one – his music selection was more hip-hop focused, but he did end class with Avicii’s “Fade into Darkness” as he turned all of the lights off. I appreciated that little effect. He had a good energy, but wasn’t my favorite. Today’s class was taught by Laura Crago. She is a MACHINE. And her music was excellent. The first track was a slowed-down version of JT’s “Cry me a River.” I probably freaked the woman next to me out with my blatant singing along. I tried to refrain from actually yelling out “I am obsessed with this.” Laura had other good tracks – a couple from Deadmau5 and some house remixes of some pop hits. I will definitely seek her out in the future. 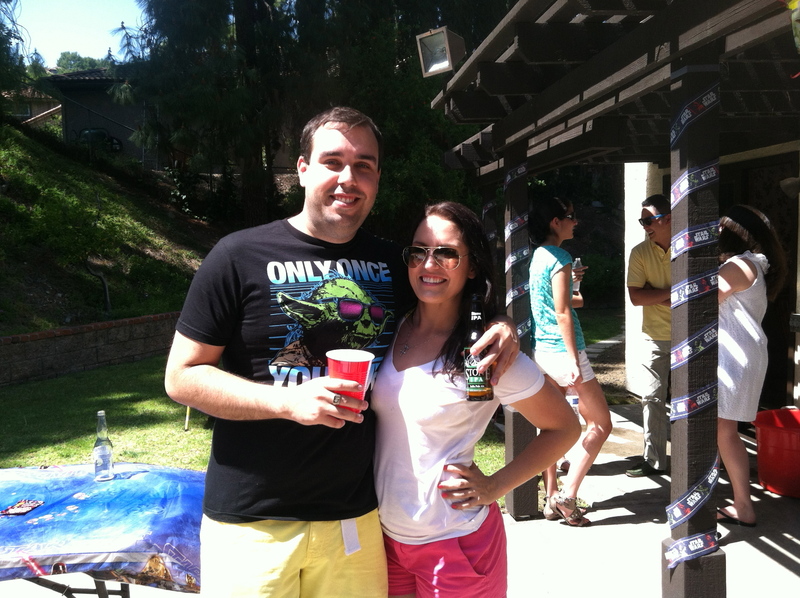 Her ride was also pretty intense – I redefined “sweat monster” after today. STOKED to go back tomorrow. 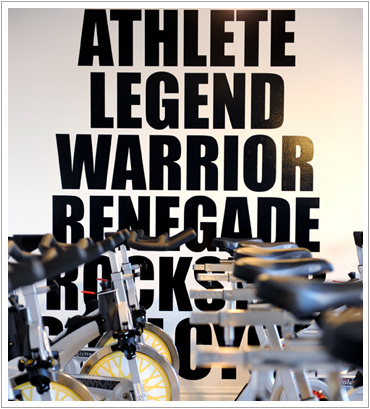 I wish I could afford to make SoulCycle an every day thing, it really is that great. My roommate, Jenn, gave me a book called “Practical Paleo” for Christmas. 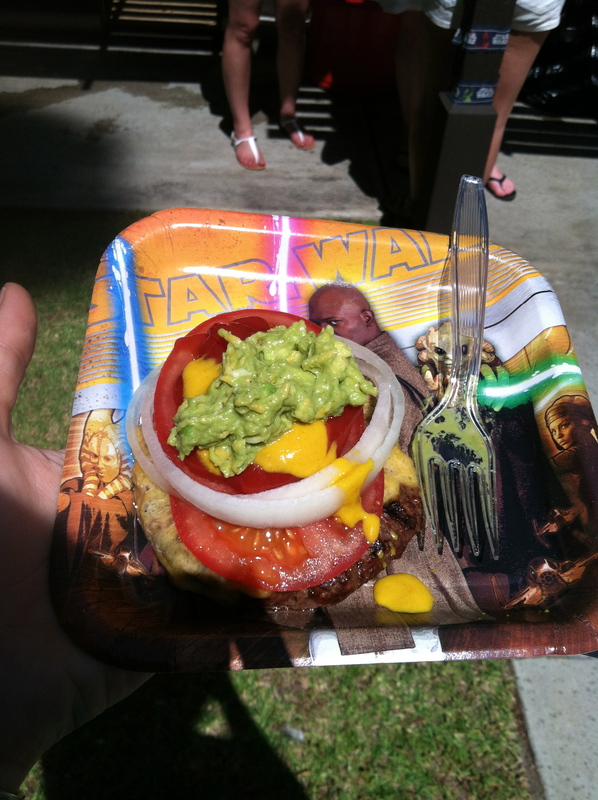 While I have no intention on following the Paleo diet 100%, I plan to try and lean that way. I made my first Paleo-inspired meal last night – carne asada, sweet potato, and a salad [with homemade dressing of EVOO, balsamic vinegar, garlic, and dijon mustard – my friend Kathleen taught me this one]. This morning’s breakfast was a crustless-quiche from the book. So far it’s been fun and surprisingly easy. It will be interesting to see what my diet looks like once I am more cramped for time and have to balance school. At least I can make a solid attempt to start 2013 out right…right? This morning I also tried another new-to-me workout. I had purchased a Living Social deal to check out Pop Physique monthhhhs ago and am just getting around to using it now. 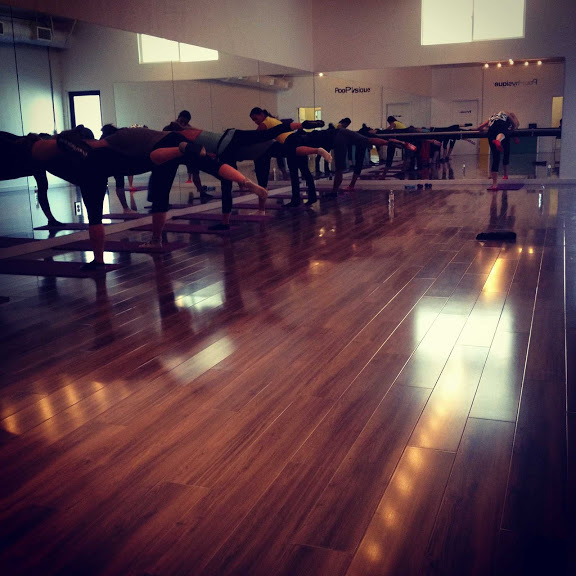 I’ve tried other barre studios (read my review of Pure Barre here). 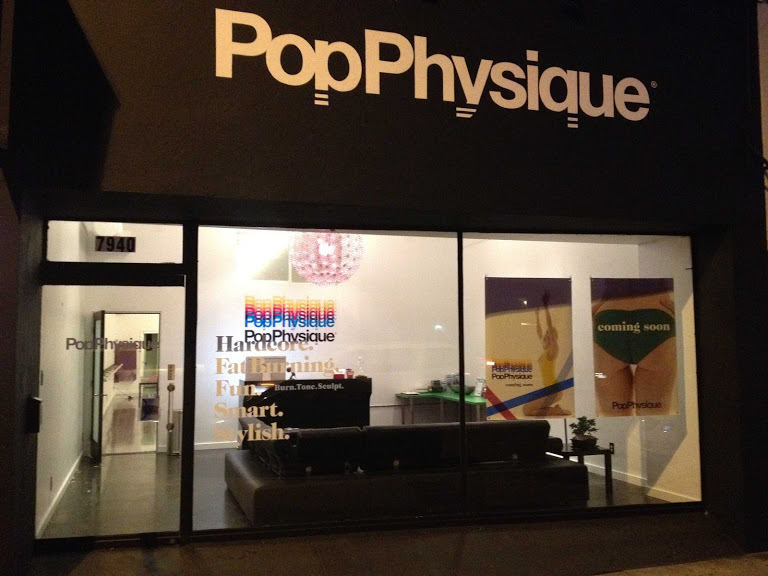 I liked Pop Physique…I’ll do a full review once I’ve finished my Living Social deal. I’m trying to load up on fun workouts and taking a little break from my normal gym + running routine because I have the time right now. What is your favorite way to spice up your workouts?